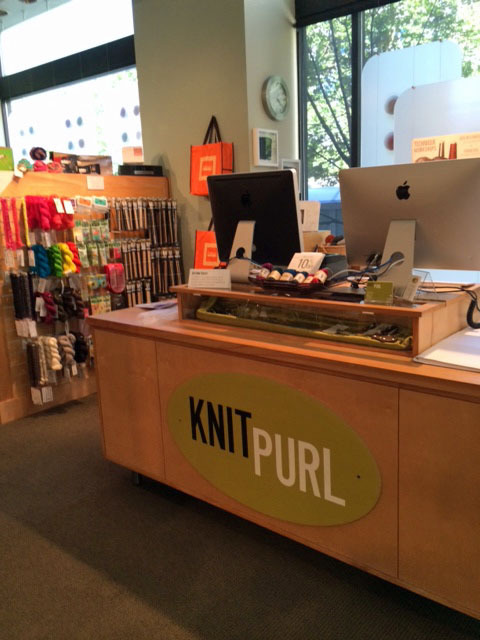 Yarn shopping in Portland, means you have to look up Knit Purl! 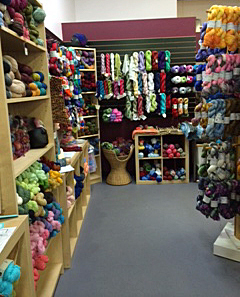 A beautiful shop with lovely yarns. 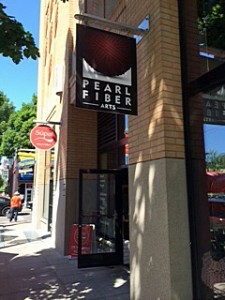 The owner also owns ShiBui yarn company. 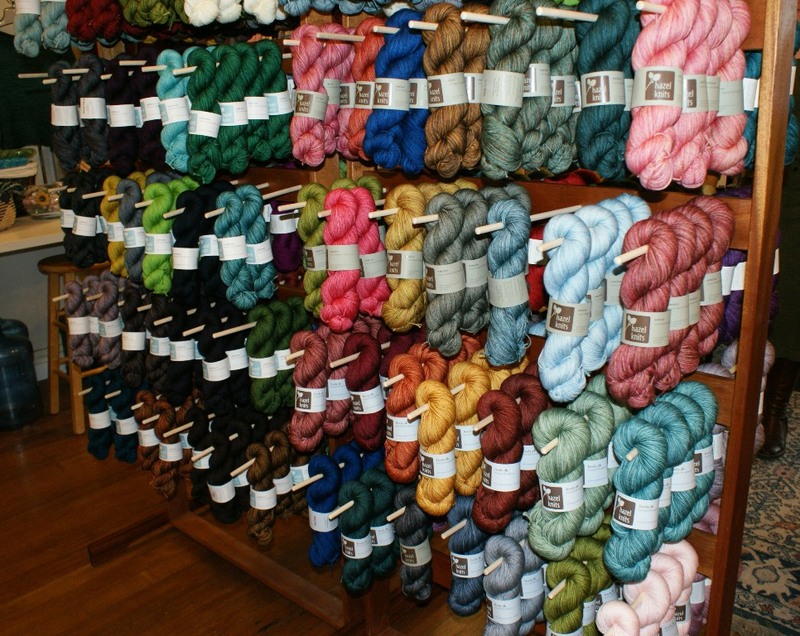 You’ll find MadTosh, Brooklyn Tweed, Shi Bui among the high end yarns as well as local yarns. I was thrilled to meet my friend Tyler from my LYS at home, who was also visiting Portland. Small world isn’t it! 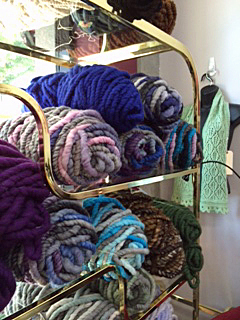 Thank you Yvonne for sharing your visit to Knit Purl with us. 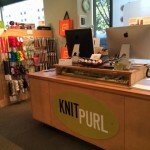 I have been to Knit Purl some time back myself on a long weekend trip for Memorial Day! 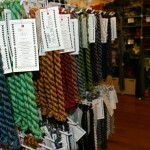 I have to admit, I really do love the Shi Bui line of yarns, and have some in my stash. 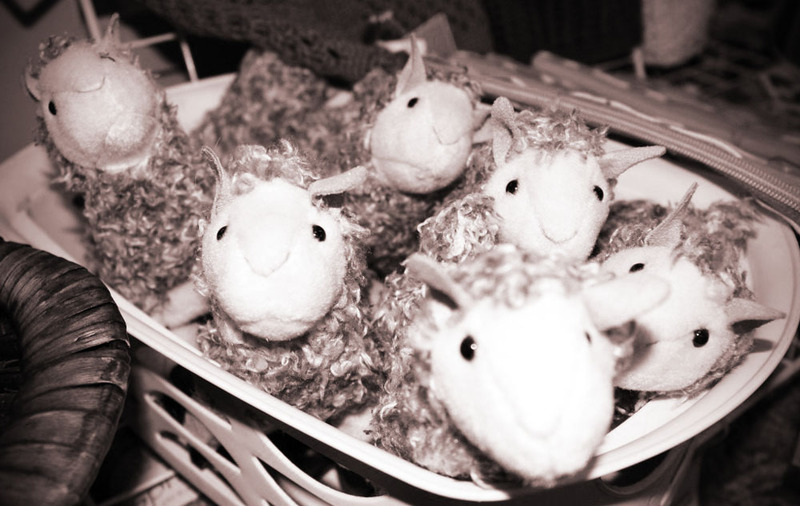 I can’t possibly be everywhere, so if you are out and about possibly this holiday season, and happen into a yarn shop, won’t you take some pictures and email them over to us. Anyone who knows me knows that I love Hazel Knits yarn. 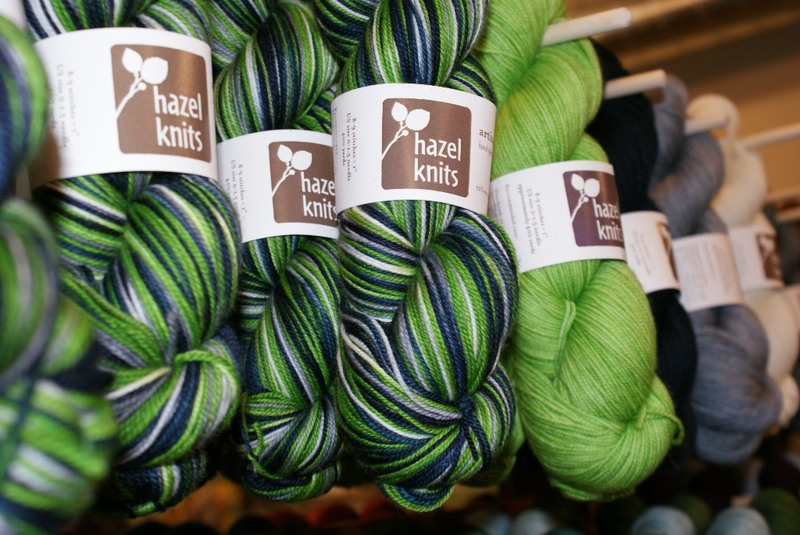 NOW, Hazel Knits is a local yarn company based out of Seattle, Washington that hand dyes yarn in lots of different bases and weights. I have loved this yarn, ever since I was first introduced to it back in 2007. 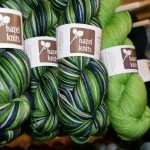 Hazel Knits, I would classify as an Indy Dyer, but this yarn is sold in yarn shops too (which is awesome). 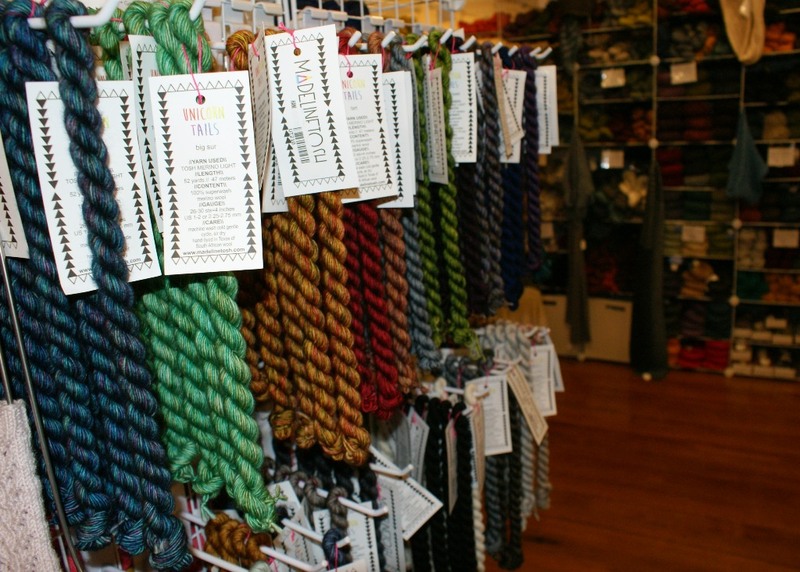 Why is it awesome…because you can purchase the yarn, and support the small business of a local yarn shop all at the same time. These are not huge corporations, your money goes directly to people you know. I like to use a baseball term for this, I call it small ball. 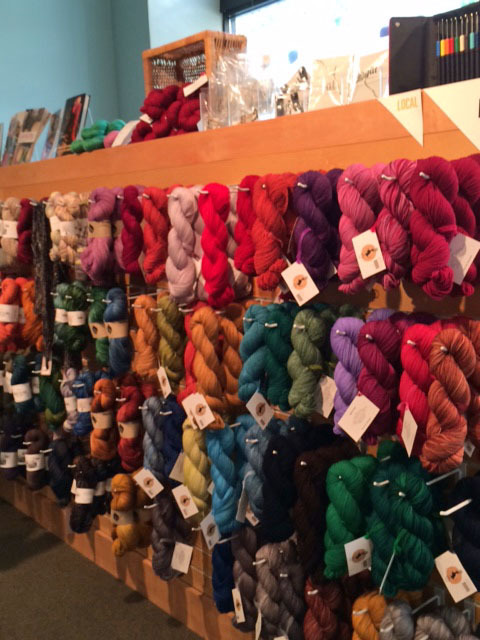 ANYWAY….I digress….Fiber Gallery is a Seattle based yarn shop and they not only carry Hazel Knits, but there is a trunk show every year. 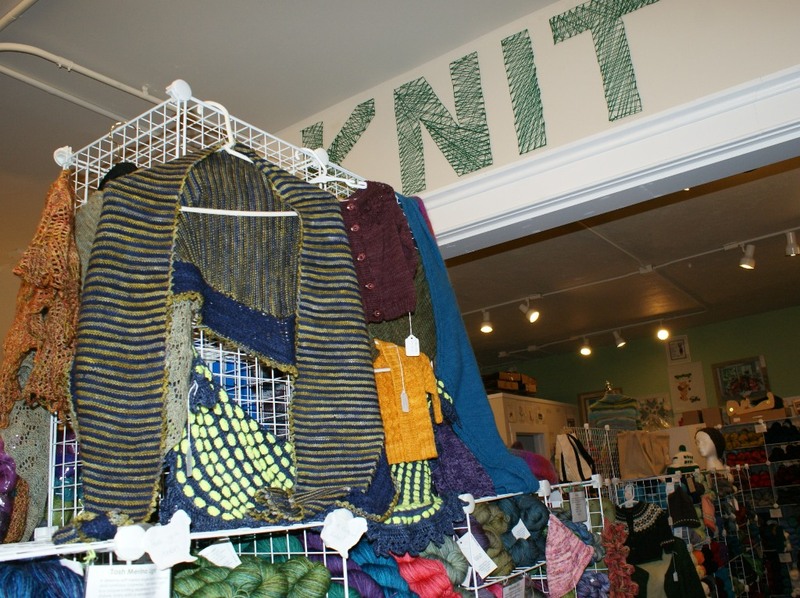 I had never visited this particular yarn shop before, so when I heard of the trunk show, my friends Ann, Jana & Libbie took the ferry boat and went over to the city for the day. We had such a good time. Yarn shop was #1, first thing! 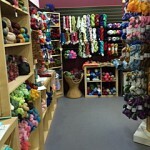 The shop had a very relaxed atmosphere and we saw lots of current yarns with notable mentions such as Debbie Bliss, Habu & Madeline Tosh just to name a few. The store owner, Mary Harris, we think of as sort of a celebrity, because she was on the Jeopardy show. The store was very crowded – I think in part because of the trunk show, but also because it was a Saturday and people were out and about. There was a chill in the air, with fallen leaves dusting about outside. 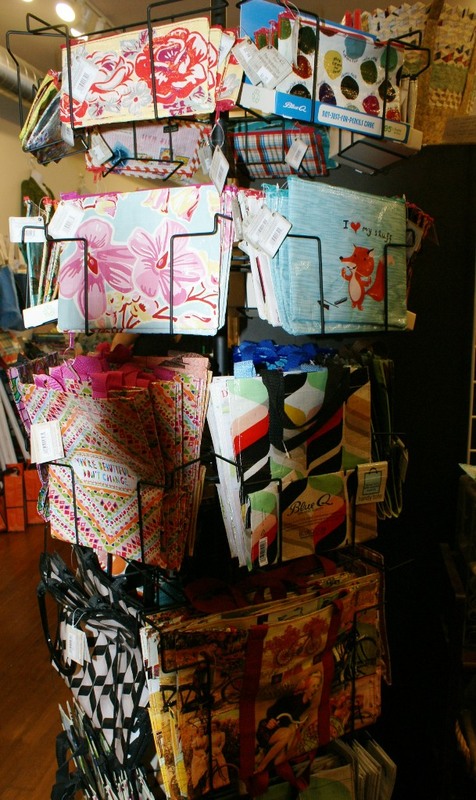 Greenwood is the neighborhood in which the store is located, and it definatley has that neighborhood feeling. Next up was coffee! We went to this coffee shop called Chocolati! They have coffee but are also chocolate based with handmade chocolates made in house. We all had mochas and enjoyed our coffees and knit for awhile together. 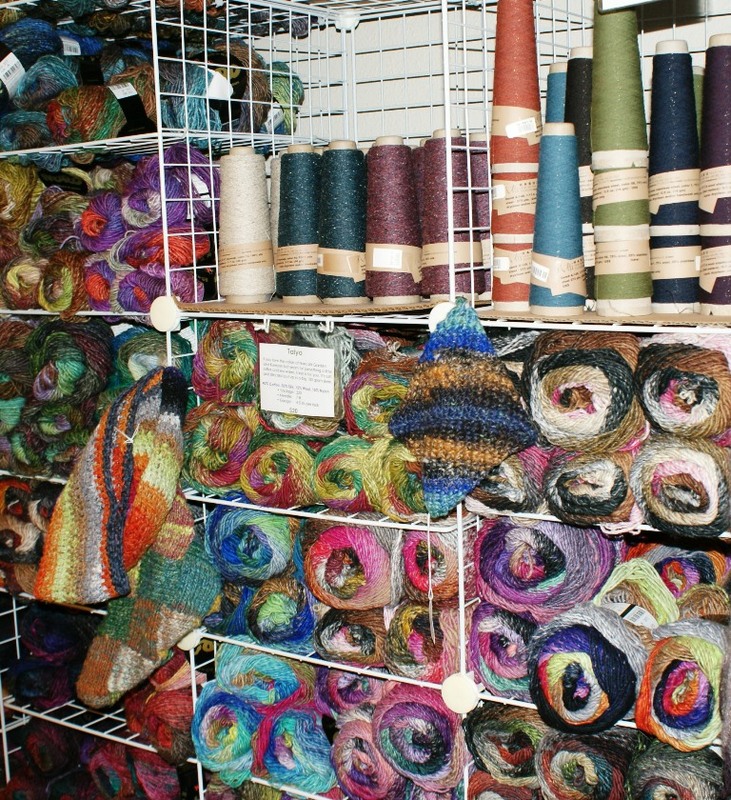 Of course over knitting, and drinking our mochas, and talking, we decided that we had to go back over to the yarn shop for a second visit. Then, we wanted lunch. We were off to Gorditos, where they made burritos the size of a baby! 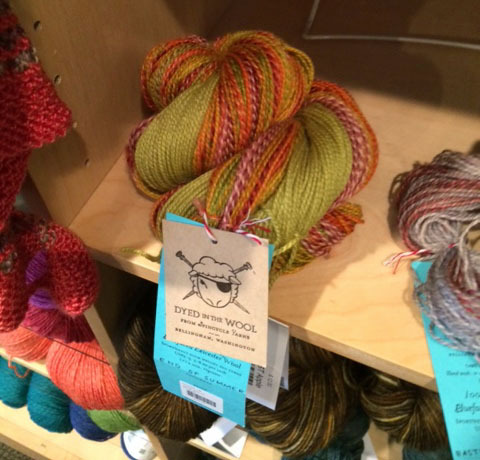 We were off for the ferry, and headed back across the Puget Sound to stop by Churchmouse Yarns & Teas on Bainbridge Island, Washington for a visit — that is just how we roll! Then it was happy hour – eh! 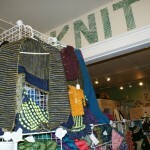 I love yarn shops, I love my girlfriends, I love knitting, and I love my Hazel Knits! 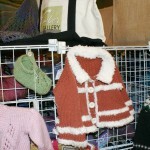 My friend Helen, from Wednesday Night Knitting, is a good knitter. 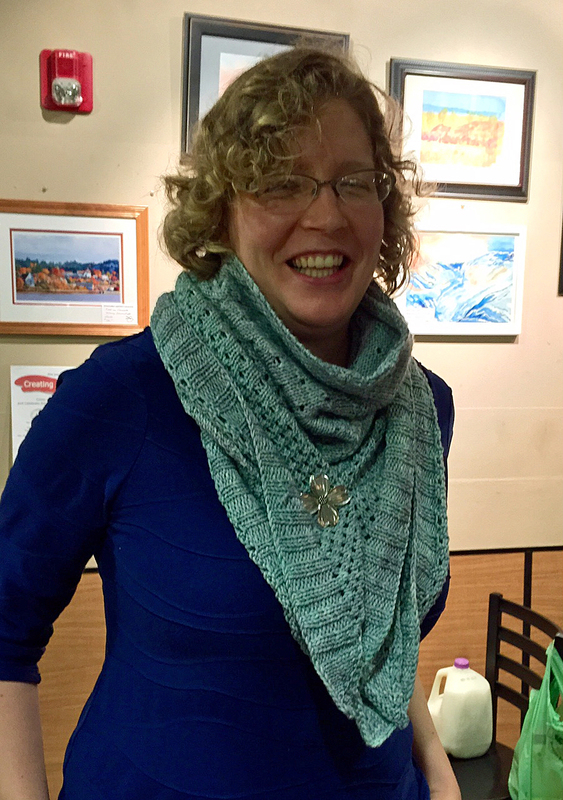 She picks thoughtful projects, thought filled yarn, and blazes through to the finish line. Here is her Campside by Alicia Plummer. 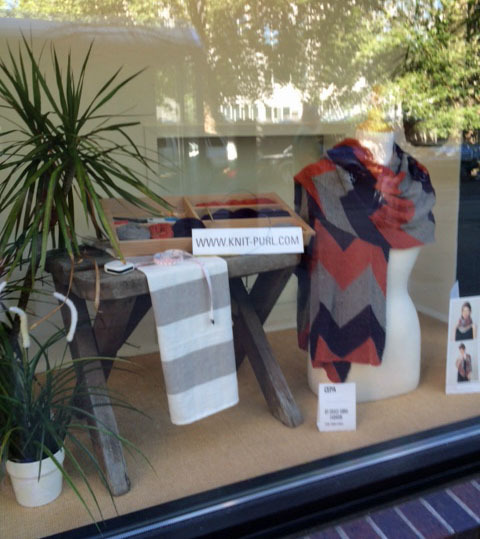 Campside is a shawl, a wrap, a scarf — however you wish to wear it, sheer fashion. Here, Helen used Madeline Tosh Worsted for hers. This pattern is free over on Ravelry. Yvonne Miller lives in California, and I met her on the internet. I don’t remember whether it was through America’s Knitting or Ravelry, but I’ve known her for a while now. I like to call her a “Roving Reporter” because she does quite a little bit of traveling, and she’s so nice to think of the website, take a few snaps, and email them over with a few lines. Just down the street from Powell’s bookstore, a Portland landmark you’ll find PearlFiber Arts. Leave DH at Powells, and head down the street. 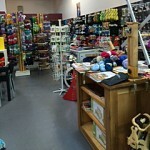 The owner is extremely knowledgable about her yarn and all things fiber related. 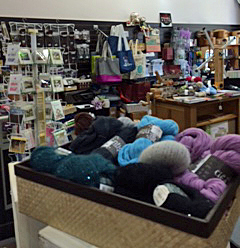 The shop carries several local yarns including ‘Thoroughly Thwacked’ and ‘Alexandra’s’. I also saw “Caress Luxury Yarn”, that is a huge gauge yarn. You can also test drive spinning wheels – WHEE!! 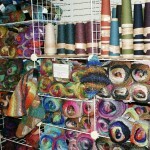 I purchased three local yarns and am a happy traveler! We love it when travelers check in. If you are planning a trip and want to help out, PLEASE don’t hesitate. Whether you use your phone or a digital camera, feedback is always welcome. 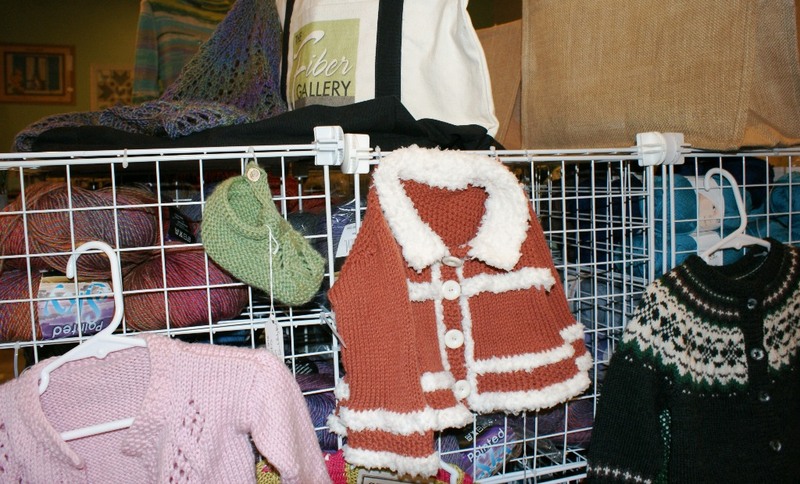 America’s Knitting is based out of Washington state, and we can’t possibly be everywhere. 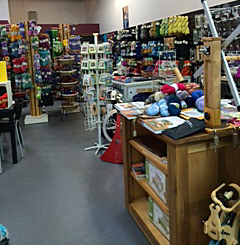 Even if you are a yarn shop owner and want to strut your stuff, by all means, it is welcome.